Home » » NIGERIAN SENATOR NAMED AS MURDER SUSPECT BY POLICE. NIGERIAN SENATOR NAMED AS MURDER SUSPECT BY POLICE. 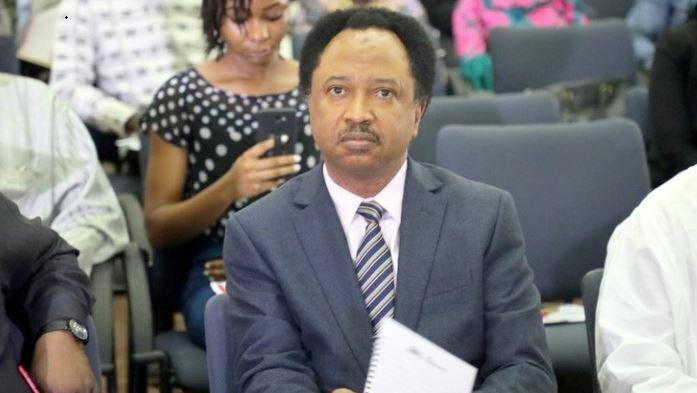 The senator representing Kaduna Central senator, Shehu Sani has been named as a person of interest in a murder investigation by the Nigerian police force, according to a report by Premium Times. The police commissioner in the state, Austin Iwar revealed that a letter has been forwarded to the lawmaker asking him to appear on April 30 at the Command Headquarters in Kaduna for questioning. "This is to enable us fairly and timely conclude investigation into the matter, Mr Iwar said,” Mr Iwar concluded in the letter addressed to Mr Sani through the Clerk of the National Assembly. A copy of the letter was forwarded to Senate President Bukola Saraki. It is not immediately ascertained whether Mr Sani has reacted to the development or planned to honour the invitation. The specific case for which the senator is being sought is also not immediately known but updates will be given shortly. Mr. Sani blamed the Kaduna state governor, Nasir El-Rufai, for the move by the police. He alleged that the Kaduna government had concluded plans to frame him up with a murder case.